When the big ball drops in a couple of weeks people around the world will start 2014 with goals and aspirations to make them better people. 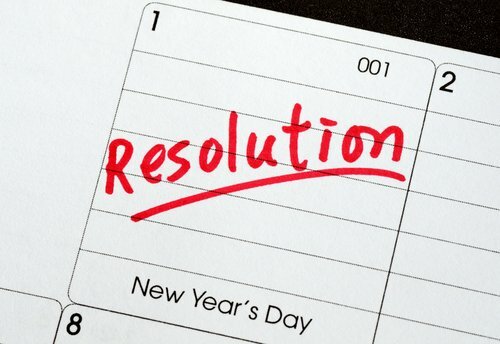 Along with the usual items like losing weight, to quit smoking, and clean out the garage, small business owners need to be thinking of resolutions for the companies. All the data from 2013 points to a future where SEO, social media, mobile devices, and ecommerce are going to be essential elements of successful business. Though the individual tactics and strategies will vary from company to company, most, if not all, businesses should be aiming for the same goals. Here are three New Year’s resolutions for small business. Though a lot of businesses have begun focusing on other forms of internet marketing, like social media and mobile marketing, but SEO is still essential for any business that wants to reach customers online. The importance of being at the top of the page on search engine results can’t be stressed enough. According to research reported on Search Engine Land, 50 percent of searchers on Bing click the first organic result. Only about 6 percent click on the third result, 3 percent on the fourth result, and only 1 percent on results near the bottom of page one. Interestingly, another study shows that once a person goes to the next page of search engine results and then hits the back button, the 8 percent of the time they will click on the listing at the bottom of the page. Making the effort to improve SEO rankings (either by making adjustments in house or hiring an outside agency) can dramatically improve the traffic to a website. This is especially true for any business that hasn’t updated their site in a while. The algorithms for major search engines like Google have changed recently, and what was good SEO practice in times past may not necessarily by the case now. Make a resolution to improve your ranking for your target keywords, and aim to be at the top of the page for at least one keyword phrase. The growing importance of social media did not diminish in 2013 and there is little reason to think that it will any time in the near future. In the U.S., 72 percent of adults have at least one social media account. Though most business owners have recognized the potential of social media, many find themselves stuck in one of two positions: Either they have a lot of customers but few social media fans, or they have a lot of social media fans, but no boost in sales as a result. Since the average business can expect seven out of 10 of their customers are on social media, an effort needs to be made to turn these customers into social media ambassadors. The mobile web continued to grow and dominate in 2013 and business owners should be changing their mobile strategy accordingly. Mobile is increasingly becoming the main way that people interact with their social media profiles, conduct searches online, and shop for products. In years past, business owners worked to make their sites mobile compatible. The time has come to move beyond asking if customer can use a site on a mobile device, to ensuring that they want to use a site on their mobile device. This means ensuring fast loading speeds, viewable graphics, and responsive design elements. Other mobile avenues to consider are mobile ads (video ads work very well) and getting a business’s services or products listed on mobile apps, where the majority of mobile web time is spent. Ecommerce is so important to the future of small business that every business owner needs to make the effort to make ecommerce work for their company. A new year means new opportunities for businesses to reach potential customers. Though they will need to experiment with a variety of tactics and strategies to find out what learns best, the broad resolutions mentioned in this article are useful for marketers because they are like a beacon that will lead to higher profits.